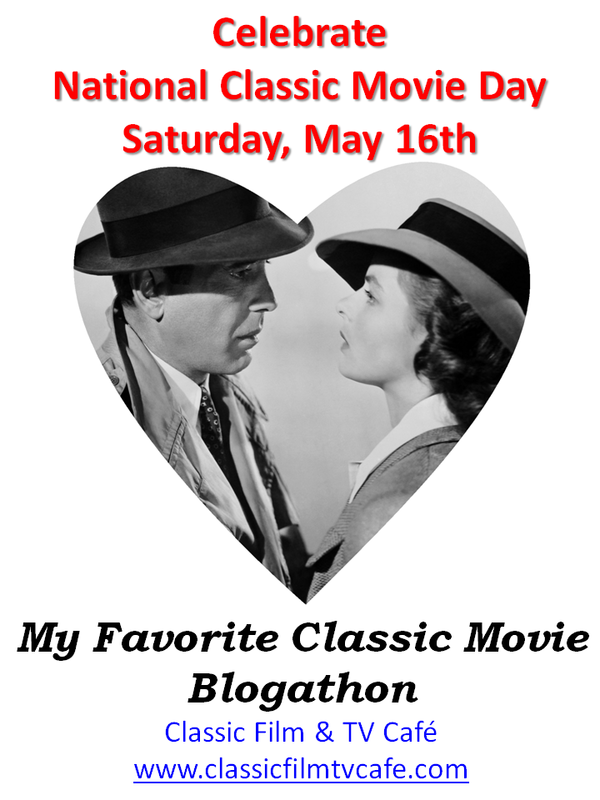 This post is for the Film Preservation Blogathon by Ferdie on Films. There are so many interesting entries, not surprising, since any film enthusiast would be eager to explore this gold. We are only becoming aware of cinema as a legacy. Fortunately, Film Heritage Foundation, India, and its people, have been working tireless to preserve our legacy of films. We let you know more about their work through their own words. Shivendra Singh Dungarpur, Director of FHF, was kind enough to give us a sneak into the Foundation’s work. Q) What inspired you to start this foundation? A) In a sense, I have been an archivist and collector since I was a child. It may have started with the conventional route of stamps and coins, but cinema has always been a passion. I am also an avid diarist – a habit that started from my school days when I used to make copious notes about films that I had seen including details of the cast and crew. Besides, being a student of history and coming from a family with a long lineage, I think the establishment of a foundation to preserve and restore India’s cinematic heritage was a natural progression of events in my life. However, the person who inspired me to start Film Heritage Foundation was Martin Scorsese who is one of the greatest evangelists for the cause of film preservation and whose organizations the Film Foundation and the World Cinema Project have restored over 600 films since their inception. Many of these films have been neglected gems that would have been forgotten and lost forever if not for the fantastic work done by these two organizations. The other inspiration was Gianluca Farinelli (who has been referred to as the pope of restoration). I had read an interview in 2010 where Martin Scorsese talked about a festival of restored films called “Il Cinema Ritrovato” conducted by Cineteca di Bologna helmed by Gianluca Farinelli and the fabulous restorations being done at the L’Immagine Ritrovata lab there. My interest was piqued and I decided to go for the festival and see for myself what he was talking about. That was really a turning point for me. I discovered a Mecca for film archivists and cinephiles where you immersed yourself watching beautifully restored gems of cinema for a week. I have been going back every year since. Interacting with archivists, film historians and cinephiles from all over the world, I soon realized that our country was lagging far behind. It was Jaya Bachchan who suggested that I started my own foundation to preserve India’s cinematic legacy. As a first step, to draw attention to the precarious condition of India’s classic films, our foundation curated an Indian retrospective, their first, at Il Cinema Ritrovato last year – “The Golden ‘50s: India’s Endangered Classics.” In February this year, Cineteca di Bologna. 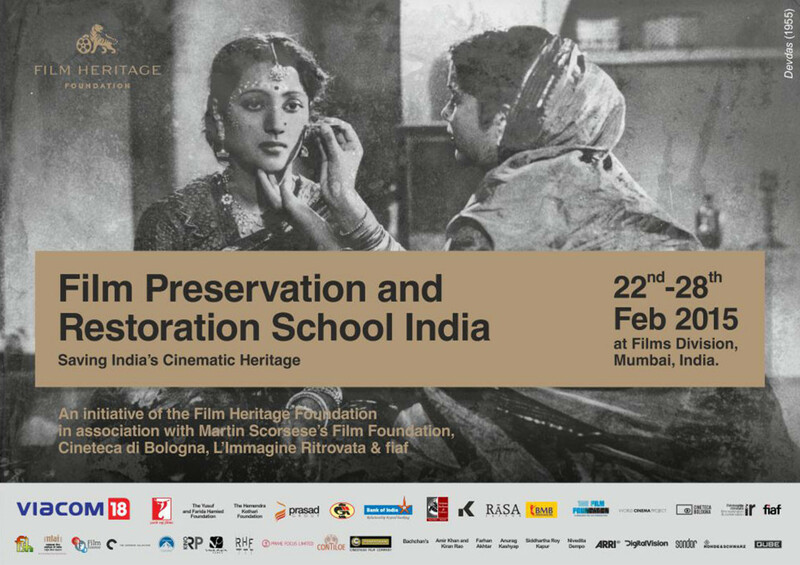 L’Immagine Ritrovata, the Film Foundation and FIAF collaborated with us in a pioneering educational initiative – India’s first Film Preservation and Restoration School India 2015. Recently, I was invited to be a member of the Il Cinema Ritrovato Artistic Committee and I hope to use this platform to highlight India’s rich and diverse film patrimony and the urgent need to save it for posterity. Q) What are the challenges of running this project in a country like India, where movies are not necessarily viewed as heritage (compared to literature or Arts,) but merely as mass entertainment media? few, including the film industry, who subscribe to this idea. When filmmakers and producers themselves do not respect their creations or care about their works being preserved for posterity, we are fighting an uphill battle. India does not have a culture of preservation. We often speak about our ancient civilization and culture, but we have always had a cavalier attitude to its preservation and restoration. When people are fighting for the preservation of monuments, music, dance and art forms that are centuries old, saving our cinematic heritage, just over a hundred years old, does not even rank as a cause in most people’s opinion. But there is no taking away from the fact that cinema is an amalgamation of all these art forms and is an art form itself that has a fragile existence. There is a general lack of awareness about the need to preserve films on celluloid and the challenges of archiving films on digital formats. There is a common misconception that if a film is available on Youtube, dvds or even beta tapes, that it is equivalent to preservation. In this scenario, getting the support of the government, industry stakeholders and the public at large both in terms of funding and otherwise can be difficult. But we have made a start and we are working on creating a movement to save our cinematic heritage. Q) The FH foundation has received support from Martin Scorcese, how has that helped the foundation? A) Just the fact that a filmmaker of Mr. Scorsese’s stature has endorsed Film Heritage Foundation by collaborating on the Film Preservation and Restoration School India 2015, gave our very young foundation credibility and help put us on the map internationally. Locally too it helped to generate interest both with the press and the film industry and started them thinking about preserving and restoring our films. Q) Your first movie, Celluloid Man, is about India’s pioneering film archivist? Did the film attract you in this direction or did your natural interest in film archiving inspire the movie? A) After my first trip to Bologna, I was curious to see where we were as far as the preservation of our cinema was concerned. I visited the National Film Archive of India (NFAI) –our only film archive that had been built singlehandedly by Mr. Nair during his tenure of almost three decades. I was deeply saddened to see that clearly since Mr. Nair’s retirement the NFAI had fallen off the map as far as the government was concerned and that films were being kept in conditions that were far from ideal. On the same trip, I discovered that Mr. Nair was still living in Pune, across the road from the NFAI. I wanted to tell the story of the extraordinary life’ work and passion of Mr. Nair without whom Dadasaheb Phalke, the father of Indian cinema and other early pioneers and greats, would probably have been just footnotes in history books, with none of their films surviving to be seen by future generations. That was how the idea of “Celluloid Man” was born. The making of the film was a journey, one on which I discovered the colossal loss of our moving image heritage. My film became a tribute to India’s wonderfully rich film history and to the man who saved it, but it also mourned the irretrievable loss of thousands of films thanks to our attitude to cinema as a commercial industry and not an integral part of our social and cultural heritage. Q) Have you discovered a gem/s that even you were not aware about, that you want classic film enthusiasts to watch? Recently, a friend came to my office and handed over the last surviving reel of the first Konkani film “Mogacho Aunddo” that was believed to be lost. The reel was in very poor condition, but we have sent it to the lab in Bologna to see what can be salvaged. We are awaiting the update from the lab, but have also put the word out to see if we can find any further surviving material. It is discoveries like these that give us heart that maybe many more films presumed to be lost will turn up one day. Q) How much of the legacy have we managed to preserve? A) That is a difficult question to answer. Sadly, it’s easier to tell you how much we have lost. India made 1700 silent films of which only 5 – 6 complete films survive today. By 1950 we had lost 70 – 80% of our films including India’s first talkie “Alam Ara”. Even though India celebrated 100 years of cinema in 2013 the National Film Archive of India (NFAI) can boast just about 6000 Indian film titles in their collection. Prints of films as recent as “Qayamat Se Qayamat Tak” (1988), “Khamoshi” (1996) and “Black Friday” (2004) cannot be found. Q) What are the steps you have taken to educate the general masses about this legacy? A) To begin with, I have made several presentations and given lectures about our vanishing cinematic legacy all over India and even internationally at film schools, film festivals and museums. Film Heritage Foundation’s work has also been very well covered by the press both in India and overseas. The Film Preservation and Restoration School India 2015 while targeted at the students who participated in the workshop also was an exercise in creating awareness about the importance and urgency of preserving our film heritage. Film Heritage Foundation also launched our first publication “From Darkness Into Light: Perspectives on Film Preservation and Restoration” edited by Rajesh Devraj, which is also India’s first book on the subject. The book contains articles by Martin Scorsese on the language of cinema, the restoration of Satyajit Ray’s Apu Trilogy, essays by leading international archivists and film historians as well as Film Heritage Foundation’s list of India’s 60 most endangered films that are in urgent need of restoration. We also have plans for several educational outreach programs in the pipeline that will educate people about our rich and diverse film history with the idea of rekindling an interest in the classics. Q) How can the public support this initiative? A)As a foundation, we are always looking for passionate, committed people who would like to work with us or volunteer their services to help us build this movement. We need people to help us raise funds and get grants for our various programs and projects, to spread the word and attend any programs, lectures or festivals that we organize to learn more about our film heritage. People can also support us by contributing funds to the foundation. Details are available on our website. Q) What is the message you would like to give to classic film enthusiasts? A)This would be a message for all film lovers and members of the film industry. Make your cinema your own and respect it for the art it is. Don’t be satisfied with poor quality DVD and Youtube uploads. They are a very poor representation of the original maker’s intent and creation. We continue to remix and remake our classics; we still draw inspiration from them; realize that those that came before have made you what you are and pay tribute to them by saving films, both present and past, for future generations. Today’s film could be tomorrow’s classic. This was an interesting essay on a subject that doesn’t get enough attention. “India does not have a culture of preservation.” That is a good observation. I heard a story on NPR about a group that is trying to preserve phonograph records in India. I mentioned it to a friend in India and he is so young he didn’t know what a phonograph record was. Haha! Yes it is so possible to not know what phonographs are, with technology having changed so fast in last two decades. I think they were called LPs in India. I personally saw a couple because my mother had made some beautiful paintings on her parents’ record collection.